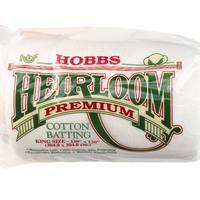 Hobbs Heirloom Natural Batting is made from 100% natural, unbleached cotton. 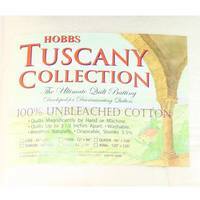 Ideal for both hand and machine quilting, this high grade cotton batting is equipped with a thin layer of scrim (stabilizer) that has been needle punched into the fibers. Scrim provides an extra layer of strength and prevents stretching and distorting. 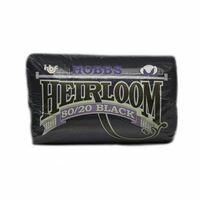 Strong yet soft, this low loft batting becomes softer with every wash. Prewashing is not recommended. Shrinkage of 3-5% is standard, leaving your quilt with an antique puckered appearance. 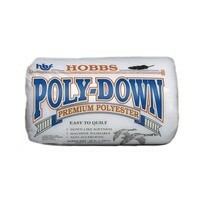 Ideal for use with medium and dark fabrics. 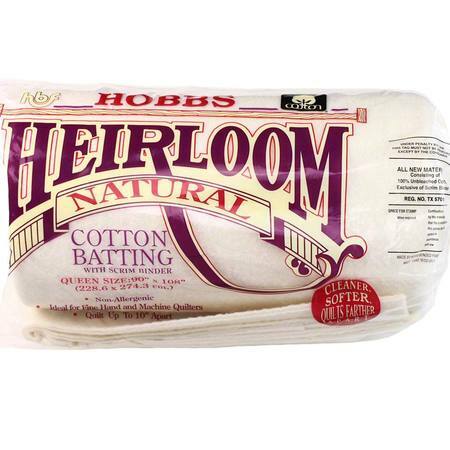 Hobbs Heirloom Natural can be quilted from 1/4" up to 10" apart. Manufactured and distributed in the USA. Available in Queen Size (90x108in) and King Size (120x120in).